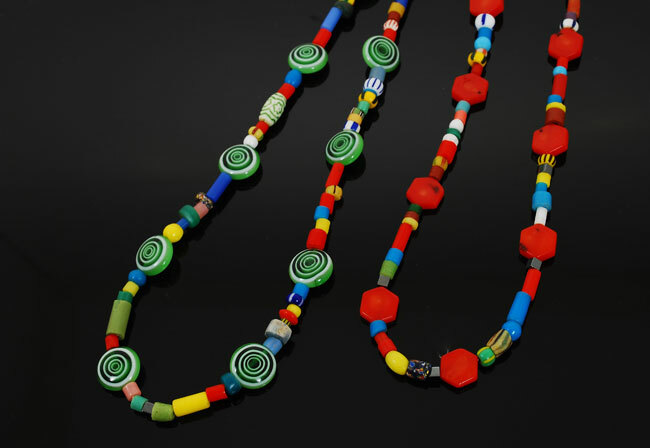 Colorful African trade beads are interspersed with green glass coin beads or hexagon shaped red coral. Blue pearl accent (not shown). Each necklace is 35″ long and can be doubled and even worn together for an incredibly festive look! Sold separately.